Arguments over the viability of Social Security, trust funds and promises being made is an argument that's not going away without a fight. Now, I don’t want to get mired in the tired old arguments about whether the trust fund is “real” — whether it’s a stupid accounting abstraction or a profound moral promise on the part of the U.S. government — because this obscures the actual point we need to be concerned with: If we want to pay Social Security beneficiaries more money than we are collecting in payroll taxes, the money has to come from somewhere, and ultimately, that “somewhere” is the United States taxpayer. It is supremely irrelevant whether that money flows through the “trust fund” or Uncle Sam holds an annual ceremony in which the trustees are handed one of those giant checks they present to lottery winners; we still need to find the money to make good on that check. In the case of the Social Security trust fund, the tired old argument stems from the legal structure of the program whereby it is financed exclusively by its designated tax, including the surpluses from taxes in prior years. McArdle tells us that bonds purchased with prior years’ surpluses don’t matter, the government still has to cough up the money in the current year. The same logic applies to the bonds held by rich people like Peter Peterson. The government has to cough up the money to pay him the interest this year on whatever bonds he holds. If McArdle wants to declare it “supremely irrelevant” that the payments for Social Security come from bonds held by the trust fund, then with equal validity we can declare it supremely irrelevant that Peterson paid for the bonds he owns. After all, this would just get us into tired old arguments about moral obligations to bondholders. All right, let’s have that tired old argument. To wit: Does the OASI Trust Fund matter? Is it a moral and legal obligation? Not to future beneficiaries. The beneficiaries do not own those bonds; the Social Security Administration does. And the Social Security Administration is not a public corporation with beneficiaries as its shareholders. The government “owns” the Social Security Administration, so at best we could say that the government has a moral and legal obligation to itself, which is nonsensical. Unlike billionaire Pete Peterson, who is legally entitled to his bond payments and can sue the government if it fails to deliver, Social Security beneficiaries have no legal claim on those special-purpose bonds. They have no right to a dime of the “interest” being paid into the notional accounts held by the Social Security Administration. They are legally entitled to the benefits that are duly laid out in our current law. But while Congress cannot just go and change the law under which Pete Peterson gets paid, because the courts would nullify this sort of post-hoc attempt to weasel out of our debts, Social Security beneficiaries are not in the same position, because they are not the bondholders. The bondholder is an agency of the U.S. government that the government can dissolve or change at any time — something on which the Supreme Court has already ruled. So the idea that “these bonds are a sacred obligation just like our other bonds” isn’t very interesting, because even if true, it doesn’t establish any right to Social Security benefits, beyond those conveyed by the law laying out the payment schedule for those benefits, subject to any changes Congress wishes to make. Which is why I don’t think the trust fund matters very much, at least not in the way people think. It is an accounting convention that is useful for establishing the legal parameters under which the Social Security program will operate. Accounting is important! But it’s not on the same plane with the Ten Commandments. It’s just a convention we’ve agreed to in order to give us a clearer picture of what’s going to happen, and what already has. 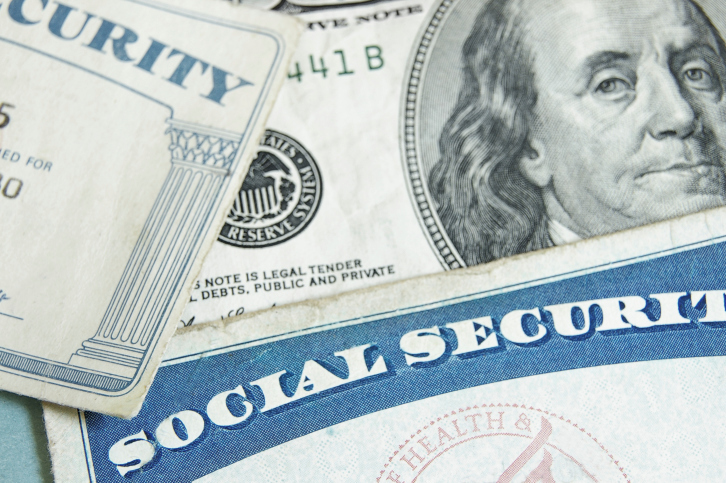 Do we have a moral obligation to Social Security beneficiaries? Yes, but I don’t think the source of those obligations is the trust fund. The source of our moral obligation is, first, the fact that we took money out of everyone’s paychecks and put it into the Social Security system, which encouraged, perhaps forced, people to save less for retirement. Since it’s too late for them to go back and vote for Herbert Hoover, we have an obligation to make sure that they don’t end up destitute. And second, we have whatever moral obligation you think we have to keep folks who have worked all of their lives from falling into destitution when they are old, even if we didn’t promise them a Social Security check. Neither obligation is unlimited (and neither is the obligation to repay bond principal); both can be virtuously refused if the country ends up in a severe budget crisis. But it certainly exists. But the subject of my article was not our moral obligation to the elderly. I was talking about the problem of financing Social Security. And from this perspective, the trust fund is completely irrelevant, except as it sets dates for scheduled benefit reductions to keep the system in balance. Social Security as a system is set up to be self-financing; the taxes and fees it collects are supposed to be wholly dedicated to the program, and the benefits it pays out are supposed to be limited to the taxes collected — which is why, when the “trust fund” runs out, benefits will automatically be slashed to balance inflow with outgo (something that fans of the “trust fund as obligation” argument never do get around to mentioning: Do we also have a moral and legal obligation to cut my Social Security benefits in 2034?). There’s a lot to like about self-financing programs, obviously. But given the way the U.S. government finances itself, they cannot save more than a nominal amount of money, because the U.S. government does not, say, massively invest in U.S. equities (and it’s probably a good thing that they don’t). So if you have a system with a mismatch between inflows and outflows in any given year, the self-financing angle can cause some serious issues. You can think of the Social Security trust fund as a way to temporarily relax the self-financing requirement to deal with the big bulge of baby boomers moving through the system. At the time of the last major Social Security reform, taxes needed to be raised to pay for a growing number of retirees, then kept high to pay for future retirees. We could have just raised the tax ad hoc every time the system threatened to run out of money, but the commission knew that this was really difficult, and that trying to do it annually might cause a crisis. So instead we raised them high enough to keep the system solvent for a few decades. As the boomers moved through the system, this created surpluses, which happily poured into the general fund in the form of “loans” from the government to itself. From the point of view of the Social Security Administration, the trust fund exists, and it sets the parameters of how funds will be transferred from the General Fund, until they run out in 2034 and benefits are slashed to make the system completely self-financing. From the point of view of the government, however, it’s no more relevant than a corporate bond sold to one subsidiary by another, which may have interesting tax and accounting implications but does not increase by a single dollar the resources available to the company as a whole. If it wants to build a new plant or increase worker salaries, it is still going to need to find some new revenue, or cut expenses, to pay for it. So if we’re looking at fiscal policy — and I’m afraid we’ll have to, however much you pound the table about the sacred moral obligations embedded in special-purpose government bonds – - the correct answer to any discussion of the trust fund is “who cares?” Whatever the legal and accounting conventions, from the perspective of the government and the taxpayer, Social Security is no longer self-financing; its benefit payments exceed the revenue it collects from its dedicated taxes. If we want to continue to pay those benefits, we are going to have to find another source for that money: cutting spending elsewhere, raising taxes, or borrowing money in the financial markets (which will itself eventually have to be repaid by either cutting spending or raising taxes). Large and growing sums will be needed. Where shall we get them? Or shall we cut benefits to future retirees? Recourses to the sacred moral foundations of the Social Security trust fund are generally an attempt to dodge those questions by people who don’t want to consider benefit cuts and aren’t brave enough to ask the middle class for hundreds of billions in extra tax revenue, and presumably think that if we just let things go on until the benefit cuts are imminent, we’ll have to raise taxes instead of trimming benefits. For years, this tactic worked; nothing was done. But now Social Security’s dedicated revenue is no longer enough to pay its costs. The taxpayer is going to have to find some extra money or agree to cut spending somewhere (such as benefits for future retirees), or, more probably, both. The Day of Judgment is at hand, and we will not delay it by so much as a minute by squabbling about the ritual status of the Social Security Administration. I’m not predicting this will happen; I’m just saying this is the current law.